This years' Coke Studio voyage will witness a fusion of Eastern, Western and regionally inspired music for which the platform has come to be renowned. However, this season goes deeper in its journey, exploring the international heritage of popular local music genres, tracing these global influences that have left an indelible impact on Pakistan's national and cultural musical identity. Hosted by TV personality Anoushey Ashraf, this event will exclusively reveal the season’s featured artist line-up, the innovative houseband and introduced Season 6 on the whole, to be broadcast across Pakistan this October-December 2013. 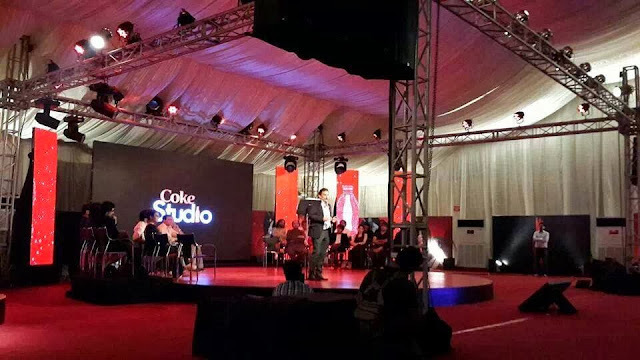 The official launch of Coke Studio Season 6 was scheduled in Lahore on Tuesday, 1st October 2013 at 06:00 PM . Coke studio 6 has a great line up of artists including Atif Aslam,,Alamgir, Ali Azmat.